All aboard! 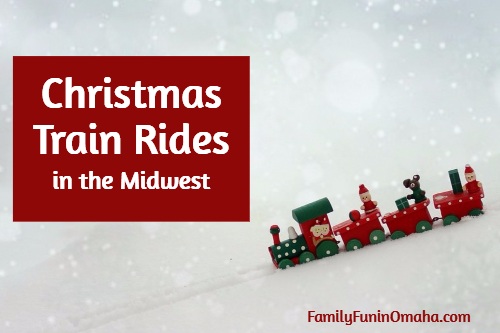 Ride the Polar Express or take your family on a special Christmas Train ride this Holiday Season! Keep in mind that tickets for many of these events sell out early. As details may change, it is always a good idea to verify with the business before visiting. Tickets: $7.95 – $12.95. Members can begin purchasing tickets on November 6th. Non-members receive access to purchase North Pole Express tickets beginning November 13th. After departing the train, your travels will take you through Candy Cane Lane where you’ll stop at The Hive to write your official letter to Santa and see some of his favorite animal friends. Continue down Candy Cane Lane to visit Santa, then enjoy treats made by the Elves, hot chocolate and candy canes. Your last stop is the bakery to decorate your very own cookie. Most activities, including visiting Santa and cookie decorating, will be held indoors. Dates: November 23 – December 16, 2018 (Friday, Saturday, and Sunday). Tickets: Basic Coach Class tickets are $18 per person (age 2 and up), First Class Coach tickets are $45 per person (age 2 and up). Tickets for this event go on sale November 1. Purchase by clicking here, or by calling 1-800-626-0319. Bring the family, and enjoy a ride from the Boone & Scenic Valley Railroad’s depot to the “North Pole” (and return). En route, you will hear the story of Santa’s Scenic Valley Ride, sing holiday songs, and take part in other fun, family activities. Also on board, you will be served hot chocolate and a cookie, and children will get to meet (and receive a special memento from) Santa himself. Be sure to arrive in your pajamas, and experience what has become a tradition for families from across Iowa, and beyond. Dates: Nov. 24-25 & Dec. 1-2, 8-9, 2018. Tickets: Reservations are required for this event. Tickets are $25 per person (plus a small service charge from the ticket service). Children up to 18 months old do not need a ticket. Everyone over the age of 18 months must have a ticket. The Santa train will be Saturday, Dec 8, 2018. Call the Abilene Parks & Rec office for reservations, (785) 263-7266. Select Dates: Fridays, Saturdays, and Sundays, Nov. 17 – Dec. 30, 2018. THE POLAR EXPRESS™ Train Ride is a re-creation of the classic children’s story on board a real train. Passengers are served hot chocolate and a treat by dancing chefs, enjoy a reading of the book by Chris Van Allsburg, and receive the first gift of Christmas (a silver sleigh bell) after Santa boards the train to greet families. Attendants lead passengers in caroling and fun holiday activities on the return trip to Baldwin Station. Dates: December 14 – 18, 2018. Tickets: Price is free to visit the train. There is a cost for event parking. Please Note: This train is stationary. Guests will enjoy a magical walk-through experience on the train. THE POLAR EXPRESS™ Train Ride departs from St. Louis Union Station for a 45 minute adventure to the North Pole filled with magic, songs, and cheer. THE POLAR EXPRESS™ comes to life on a journey to the enchanted beauty of “the North Pole”—where Santa Claus and his reindeer are waiting with a keepsake present for every boy and girl. All trains depart and return to Jackson, Missouri, for a 2-hour scenic trip. 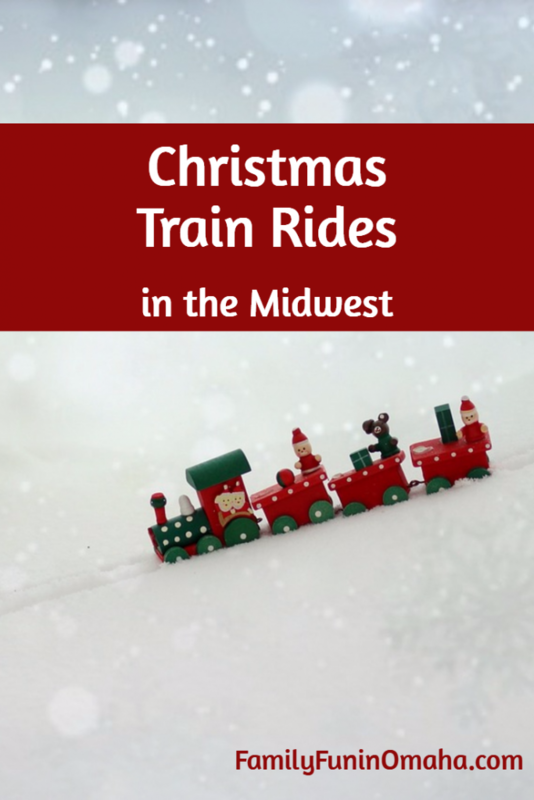 Experience the magic as you take a one hour, round trip journey from Hill City to the North Pole where Santa will board the train and ride back to Hill City, taking time to visit with each child on the way. Passengers enjoy hot cocoa, a sugar cookie and a special story on the way to the North Pole. Santa hands out a special gift to each child on the return trip.